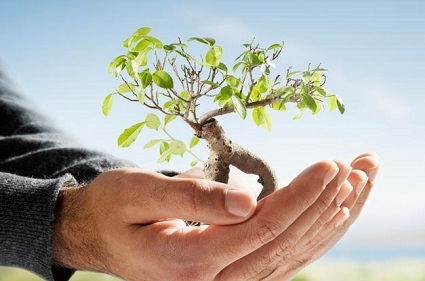 Thursday, May 29: Discover Thrively! Join @theonlinemom and friends TODAY as we discover Thrively, a brand new web site designed to unlock your child’s potential! RSVP and attend the party for a chance to win an iPad with Retina Display! Email RSVP@theonlinemom.com (subject line: Thrively) and include your Twitter ID. 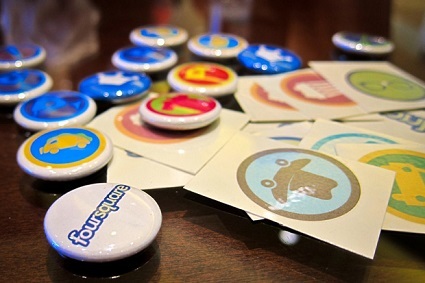 Many of us were introduced to the gamification concept by using the location-based app Foursquare, which awards points and perks for “checking-in” to places. Earning points at restaurants and sporting goods stores was my big buy-in. Gamification turns a user into a player and helps generate enthusiasm! Take classes that are a challenge, including AP and IB, when possible. If a student takes classes that are all easy, this will not be very impressive. Students need to challenge themselves but not to the extent they are hurting themselves grade-wise. Students must also meet all high school course requirements for their chosen college and to meet statewide graduation requirements in order to earn a diploma. High school counselors can help students with their big picture planning for the future, including academic advising, college planning and personal counseling. College counselors are also needed for the all-important college application letters of recommendation. Make an appointment to see a school counselor at least once each year, including freshman year. The goal is to try to build a relationship with the high school counselor during the four years of high school. During the meeting talk about interests and goals. The more the school counselor knows about a student, the more he or she can help. Many public school students do not know their advisor, being proactive will make a student stand out. Make a commitment to work hard for the good grades. Students who find themselves falling behind should get help — before they fall too far behind. Grades count and schools look for students who have challenged themselves and expressed a passion for learning. There is a classic question, is it better to get an A in a regular class or a B in an AP class? The real answer is it is best to get an A in an AP class. For the majority of students, good grades are entirely necessary to get into a good school. Schools are looking for a positive pattern. In the best-case scenario, a student maintains good grades throughout his or her high school career. Though, if the grades started off badly and then improved, colleges give points for this. If grades are too low or show a steady decline, then a student is in real trouble. Spending a night studying while friends go out may not be exciting, but the path to college needs to be looked at with a long-term perspective. Taking the test early will also allow time to take a test prep course if necessary. Most students take the SAT and/or ACT at least twice and improve their score the second time they take it. Students must also make sure to schedule test days for the SAT Subject Tests. Most students take Subject Tests toward the end of junior year or at the beginning of senior year. The best time to take the tests is as soon as possible after completing the course in the subject. No matter what the class, even one with a loathsome teacher and boring subject matter, students need to do their homework, try hard, and behave. Keep the eyes on the prize: college. Plus, teachers are where college recommendation letters come from so you want to impress them. Admissions officers are looking for commitment and impact in a student’s activities. It is better to be highly involved in one to three activities and/or sports over a number of years, than less involved in many activities. Anyone can join 10 clubs and be marginally involved in them all. Schools are looking for a student to demonstrate the willingness to stick with something and make the most of it. Schools are not so interested in hearing about passions; they want to see them proven! Once a student finds the activities he or she wants to focus on, the next step is to work on becoming a leader or to demonstrate initiative. Students need to make sure they put time and effort into every part of the college application, from the essay to the resume. 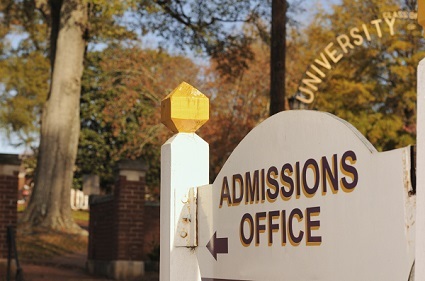 The college essay gives admissions officers the opportunity to know who a student is and how that student might contribute to the college campus. It also gives the admissions team a chance to learn something about a student that they won’t find elsewhere in the application. Admissions teams tend to prefer thoughtful, authentic essays that show real interests and passions combined with complicated thinking and good writing. Extracurricular activities should be carefully written so a student can best highlight all of his or her accomplishments and experience. The best recommendations come from individuals who really know the student. They should offer detailed information and-or personal stories about the applicant that back up the information on the application. Know what the choices are when it comes to colleges. This way any “coulda, shoulda, woulda” regrets can be avoided later in life. Research could be as simple as visiting a school’s website. Students should also try to attend college fairs, meet with admissions experts when they visit, and go on college visits. High school students who want to stand out on their college applications should consider the summer an ideal time to add some resume gold. Good choices include attending a summer enrichment program, taking a summer job or internship, participating in volunteer work, taking virtual classes, attending a dual enrollment program, or taking classes at a local college. Students who do something extraordinarily well do gain an edge in the college admissions process. A special talent or ability can be anything including performing or visual arts, athletics, science, math, speech and debate, or writing. Colleges will look for evidence of a student’s accomplishments through recognition from others (i.e. awards, scholarships). They may also look for significant contributions that show the student’s depth of commitment and follow-through (e.g. newspaper articles). Students who are having trouble with academics or other issues or need college guidance should seek help. It is not hard to ask, though some students do find it difficult. Adults who are in a position to help may not know if a student is struggling, if no help is requested. Parents, teachers, expert independent college advisors can all help the process. Say no to alcohol, drugs and embarrassing usage of social media. Don’t text and drive or drive under the influence of drugs or alcohol. One dumb mistake can ruin a student’s life. Fear of failure and doubting personal abilities only hold students back from achieving what they want to achieve. Just say no to these thoughts and others like them. Different admissions directors seek different things. Some colleges look for students who are well-rounded, with a wide assortment of extracurricular activities; others give preference to those who have displayed a sustained passion for something. Be the best you can be. Mandee Heller Adler is the Founder and Principal of International College Counselors, one of the world’s largest and most successful college and graduate school admissions counseling businesses. She graduated from the University of Pennsylvania with Honors and two degrees before receiving an MBA from Harvard Business School, all after attending a Florida-based public high school. Adler has personally helped hundreds of students across the world find, apply to, and gain acceptance into college. A member of NACAC, the National Association for College Admission Counseling, and a professional member of the IECA, the Independent Educational Consultants Association, she shares her insights and expertise in From Public School to the Ivy League: How to Get into a Top School Without Top Dollar Resources. For more information, visit www.internationalcollegecounselors.com. The new Samsung Galaxy S5 smartphone has been described as more evolution than revolution, with Samsung eschewing radical design changes to concentrate on perfecting the features than consumers value the most. The result is a gadget-lover’s delight – a device that strikes just the right balance between novelty and practicality. If you thought the days of smartphone screen improvements were largely over, it’s time to think again. The Galaxy S5 features a 5.1-inch full HD Super AMOLED display but that’s just the beginning. A tool called Local Contrast Enhancement automatically analyses the local light conditions and adapts the screen brightness so you see everything clearly. That means an optimized display when you are in bright sunshine and a much softer display when you are enjoying a late night movie under the covers. Another feature called Adapt Display analyses the content that you are viewing and automatically optimizes the color range, saturation and sharpness. The result is a super-sharp display that can be completely customized based on your content and local lightning. 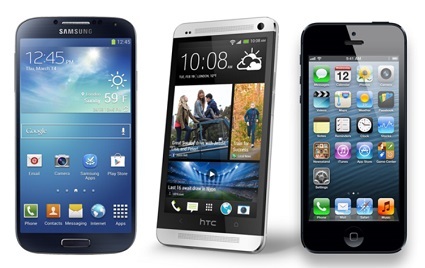 Samsung has been criticized in the past for loading up its mobile devices with unnecessary and gimmicky apps. However, S Health supports a growing trend of consumers incorporating mobile devices into their daily health and fitness routines. Pedometers, calorie counters and heart rate monitors have long been staples of the mobile app stores and now Samsung has incorporated all these and more in one easily accessible suite of apps. Much has been made of the built-in heart rate monitor positioned on the back of the S5 just below the camera. Some have questioned the usefulness of such a feature but we can see it encouraging thousands of users to think about a healthier lifestyle, and for that reason alone it’s a worthy add-on for any smartphone. Battery life has long been the Achilles heel of Android smartphones and the Galaxy range has been no exception. To help combat this frustration, Samsung has introduced Ultra Power Saving Mode or UPSM. UPSM doesn’t automatically kick-in when the battery gets low. Instead, it’s up to each user to activate it when they choose. Once UPSM is activated, the screen turns black and white, the power ramps down, and you are limited to using just 6 apps. Fortunately, you have complete control over which 6 apps you want to remain active. The obvious ones are voice and messaging but you can also choose web browsing (and run your battery down faster) or social apps such as Twitter or Facebook. UPSM is particularly useful when traveling or near the end of the day when you want to remain reachable but are happy to forego weather updates or a quick game of Candy Crush. Effective parental controls were a long time coming to smartphones but now they’re here, they are proving to be imaginative and very effective. There are several ways to go with parental controls but here Samsung rejects the all-or-nothing approach of Apple and the iPhone for the more selective criteria utilized by Nokia and its Kids’ Corner. Each customized Kids’ Mode has its own PIN and its own suite of age-appropriate apps pre-loaded by Samsung. Parents can add to those apps, approve certain media files, and even set the amount of time each child is allowed to use the phone. During this time the phone is essentially locked down for web browsing or other non-approved use but can be returned to ‘adult’ mode at any time. Place this under the “Why didn’t they think of it before?” category. If you are in a rush to download something – say, a movie or photos of your friend’s wedding – then you can get Wi-Fi and your cellular service to work together to boost download speeds by up to 80 or 90 percent. (The exact improvement will depend on relative network strengths.) Although this will do nothing to improve your data usage, it’s a useful feature to have at your fingertips when you’re in a jam. OK, this isn’t unique to the S5 but it sure is a wonderful way to enhance certain photographs. HDR stands for High Dynamic Range and it’s a way to combine multiple shots taken at different exposures to produce an optimum image. 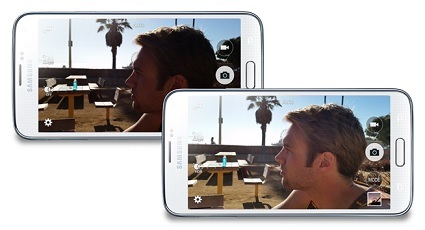 The real time HDR feature on the Galaxy S5 actually lets you see how your photos can be enhanced before shooting, so you know whether the mode is appropriate or not. HDR usually works best when there is extreme light – either too much or too little – or in landscape shots where there is little movement. However you use it, it’s yet another tool in the toolbox for the growing army of serious smartphone photographers. This is one of the few areas where Samsung is playing obvious catch-up. Ever since Apple introduced fingerprint security with iOS 7, you knew it would make an appearance on the next iteration of the Galaxy S series. Not only can you unlock the S5 with a swipe of the finger but you can also initiate certain transactions, including PayPal payments and the purchase of Samsung services. There is no doubt that the accuracy and consistency of fingerprint security will improve over the next couple of years but it’s great to see that Samsung is now firmly part of that added security movement. The Samsung Galaxy S5 is available for $199.99 from Verizon Wireless. A two-year service agreement is required. For a limited time, Verizon is also offering a ‘Buy One Get One Free’ deal on the S5. A new Two-year activation is required on each device. The Online Mom LLC receives a fee for participating in certain promotional campaigns for Verizon Wireless. One of the biggest reasons for not switching smartphones (or operating systems) is a fear that we would be abandoning our carefully accumulated photos and videos. Yes, we know it’s possible to transfer them wirelessly via Dropbox or Google Drive but that’s often more of a hassle than we have time for. A simpler way is to transfer the files onto your computer and then drag and drop them – or at least the ones you want – onto your new device. This means you can transfer photos and videos from an iPhone to an Android phone or an Android phone to a Windows phone with the minimum of fuss and without worrying whether you need to be connected to Wi-Fi or any other network. Plug your old phone into your computer or laptop using your USB charging cable. As your computer recognizes the phone, you will get a pop-up window giving you all kinds of import and transfer options. Ignore them all. Instead, go to Computer (Devices in Windows 8) and double click on the phone icon to see the stored files. If you have plugged in a Windows phone, then your photos and videos will be conveniently stored under folders labeled Pictures and Videos. If you have plugged in an iPhone or Android phone, then look for a folder labeled DCIM (Digital Camera Images). If you want to save and transfer all your photos and videos, then simply drag this folder (or folders) to the desktop or another area of your laptop. Alternatively, you can open up the folder and only save the photos or albums you want to keep. Once the photos are safely saved, you can unplug the old phone and plug in the new phone. Once you locate this device through Computer or Devices, you can simply drag and drop the saved files to save them onto the new device. Note that there is no need to set up a folder or drill down into the new device to get the photos in the right place. Your new phone will automatically recognize the file formats and organize them appropriately. And that’s all there is to it. No matter how many photos and videos you have taken over the years, they will all be neatly transferred to your new device, with no need to worry about data charges or cloud storage costs.